I am usually all into colour and if I buy black shoes, for example, it is always out of need and not because I like them. The same goes with clothes and I recently realized that when it comes to sewing, I have only made a pair of black trousers and that´s it. Nevertheless I have gathered some black fabrics in my stash and as always, when I buy fabric, I already have an idea what to make of it. The idea might change over time and sometimes the realization of it may take a really long time. I think this is quite common among hobby sewists, we keep piling up fabrics and patterns, but the pace of actually creating the garments is always way slower. The black polyester jersey of this dress was at first meant to be used for the aforementioned pants, but I decided that I needed a heavier and thicker jersey for the pants so this fabric was left behind. The silver stretch lycra was a remnant I got for a few pennies last year on my holidays to Estonia (I was still living in Greece then). I knew I wanted to combine it with black for a disco dress! The real push for starting to actually make the dress was a concert I attended several weeks ago – once hugely popular dance music group called 2 Quick Start had their 20th anniversary tour all over Estonia and as one of their most popular songs is called “The Girl in the Black Dress”, I thought it would be nice to sew it up for that occasion. But as I had my parents visiting, I never made it to the end with the dress so it was left aside for two weeks or so, until the past weekend when we went dancing with a few friends and colleagues. I managed to finish the hem on the last minute! 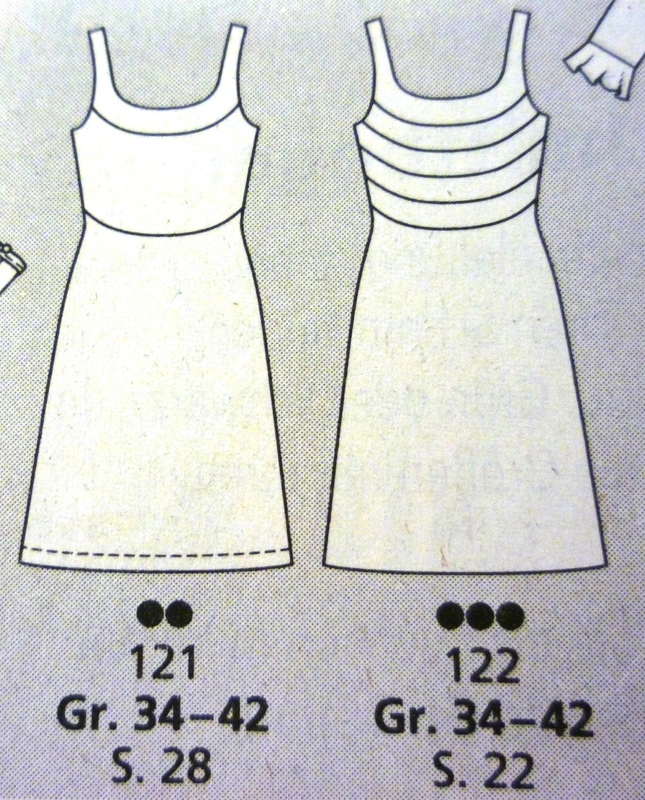 Some of you may recall that this is the pattern I used to make a maxi dress for my friend Laura last summer. I think it is great how versatile the pattern is! This time I followed the pattern more closely, for the front I cut the pieces separately, but for the back kept it in one piece. I also tapered the skirt part a bit, as it seemed to me it would look nicer with such fabric combo. 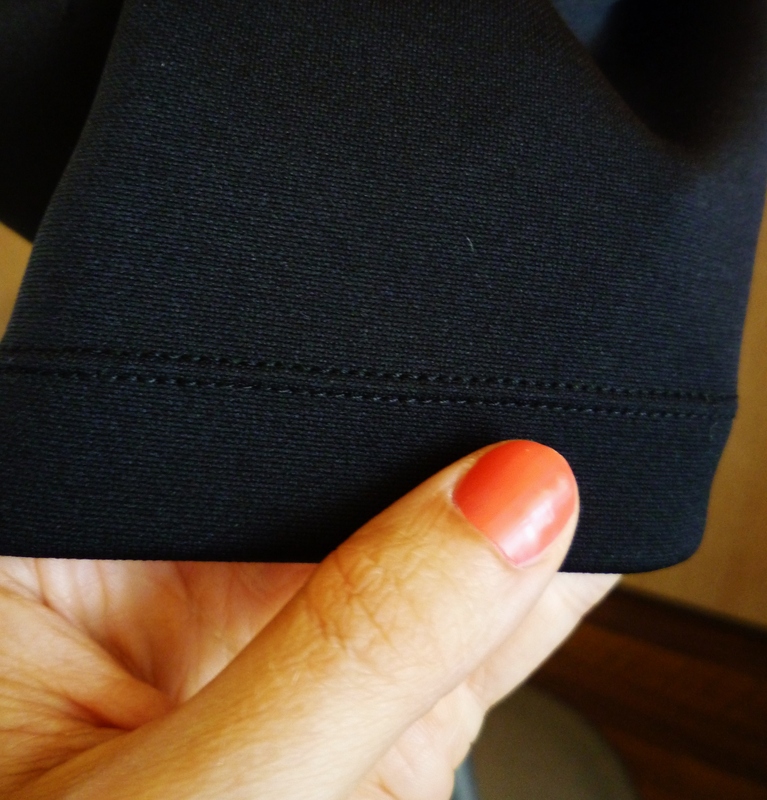 I used tiny zig-zag stitch to sew most of the seams and twin needle for the hem and neckline-armholes. The dress is really easy to make and I like that although it also looks simple, there are some nice details, also on the back side. I was out dancing all night with the dress and enjoyed it a lot! It is great to sew something and have the opportunity to show it off immediately! As the summer nights here are not always very warm, I combined the dress with a sequined knit sweater for the walk home. Bow chicka-bow-bow! 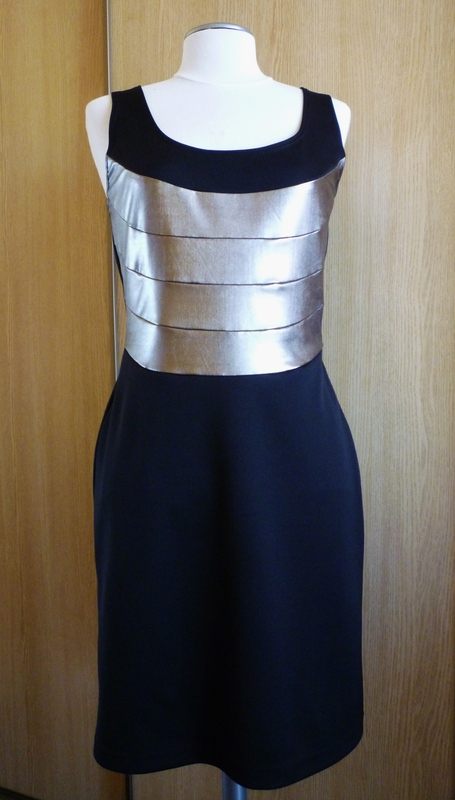 Super hot dress,you look fantastic! I love the silver panels in the front, they really make quite a statement. 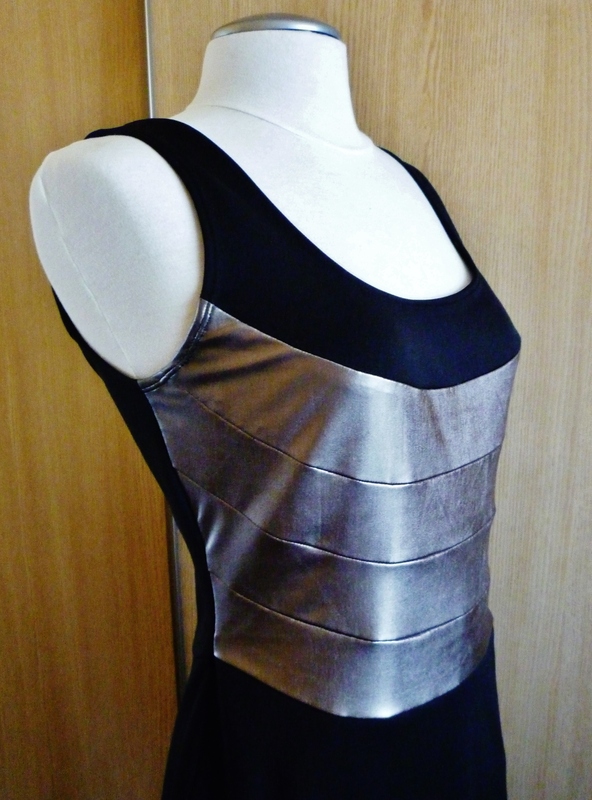 fabric… a real wow dress. Fantastic dress! Love the fabric combo! Cool dress! Perfect for dancing!